Believe it or not, floods are the most common and most expensive natural disaster in the United States, according to FEMA. Flash flooding can occur in any region as a result of a slow-moving thunderstorm or an excessive rainfall. 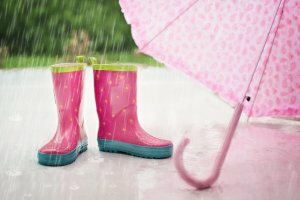 On Long Island, we tend to get heavy and frequent rain falls in the spring up through the late summer/early fall, but they can happen throughout the year. Flooding in our neck of the woods happens more often in basements, as these are below the ground (i.e. below grade), so water may flow down into them, and hydrostatic pressure from the groundwater push water up into your foundation. The issues seem to be worse after several straight days of rain as the ground becomes over saturated. And, when this happens, it can impact many areas of your home. It makes sense that flooding can cause a lot of damage and is expensive to repair. In addition to getting smelly and soaked carpeting, furniture, walls, appliances and personal items, there is a strong risk of mold (which can develop within 48-72 hours). Flood damage often results in the need to rip out and replace carpeting and/or flooring, walls, the insulation behind the walls, as well as replacing appliances and other electrical systems. It’s not fun. And, unfortunately, most of us do not have flood insurance, which means that our insurance policy doesn’t cover this. It’s inconvenient and expensive. Flash flood damage is among the most common destroyers of property, and it’s a reason most homeowners struggle to sell their flood-damaged home. 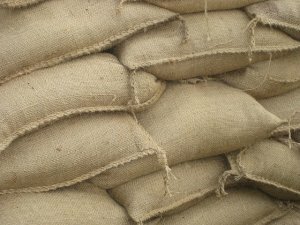 So, I wanted to provide some preventative tips, to try to help avoid flooding (or at least reduce its impact) on your home. 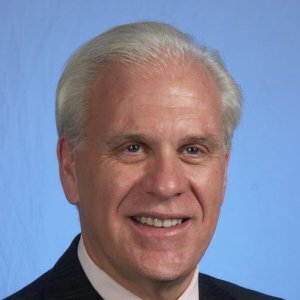 Why do we get so much rain and flooding in the spring and summer? Thunderstorms are most likely to occur in the spring and summer months. For the Long Island/NYC metro area, they tend to occur more often during the later afternoon and night hours. But, thunderstorms can occur year-round and at any time of the day. You may be interested to learn that worldwide, there are around 16 million thunderstorms annually. At any given moment, there are roughly 2,000 thunderstorms in progress. Around 10% of these reach severe levels. A thunderstorm needs 3 ingredients to form: moisture, rising unstable air and a lifting mechanism to push that air upwards. The sun heats the earth and this warms the air. If the air is forced upwards (often as it’s pushed up mountains where warm and cold air bump into each other, it sometimes causes a rising motion. As the warm air rises higher into the atmosphere, the water vapor cools and condenses to form a cloud. Eventually, the cloud grows upward where the temperature is below freezing. 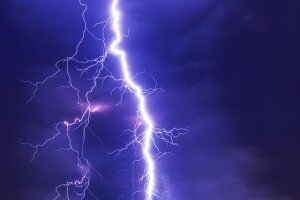 When this happens, there are lots of collisions of ice particles which create electric charges which in turn causes lightning bolts when the charges get large enough. I know this sounds obvious, but more often than not, we tend to put off preventative maintenance or even look for problems. As a result, it comes to bite us later. So. check the roof (and the ceilings) for any water leaks. Check around the windows and thoroughly inspect the basement (walls, floors, and ceilings). Also, check your foundation on the exterior side. Foundation cracks and roof leaks can create a lot of havoc on the structure, and unfortunately, provide easy access to water and a ripe environment for mold to grow and flourish. If you see wet spots on ceilings, walls or floors, or cracks in your foundation, fix them immediately. They are most likely due to water intrusion. Preventative maintenance is your smartest strategy. Find the source of the issue (e.g. roof, downspouts, gutters, exterior grading, etc.) and fix it immediately. Bring in the appropriate experts. This is a simple preventative maintenance strategy and should be done for many reasons, including flood prevention, as well as prevention of ice damming and water intrusion/water erosion on your home’s exterior. Drains and gutters are strategically designed to carry water away from your home. Gutters are often overlooked, but if they aren’t properly maintained, leaves, tree branches, and dirt can get stuck in them. As a result, they get blocked and water may go in many places where you don’t want it to, including your basement, your siding, your deck, your walkways, etc. 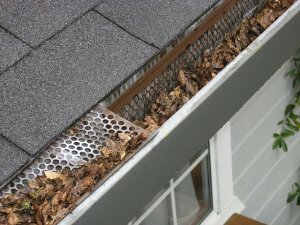 Cleaning your gutters is one of the least expensive maintenance items you can do. You should get them cleaned at least once a year. Also, consider getting gutter guards. Some storms can cause sewer lines to back up into the drain pipes of your property. These pipes can have check valves that allow waste to flow only one way, so they will prevent sewage from backing up into your home (or merging with your standing water). These are sometimes called backwater valves. While these may be a little pricey, they are well worth it vs. cleaning up the mess (and health hazard) from a sewage backup. You’ll want a valve installed in EACH pipe entering your house. The Federal Alliance for Safe Homes (FLASH) recommends using gate valves. They are more complex, but they provide stronger seal vs flap valves. Hire a plumber or septic system expert to do this one the right way. A roof will typically last 20 to 30 years pending on the quality of the roof/installation and variation in the exposure to the elements. 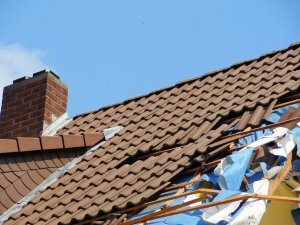 Make sure your roof is periodically inspected if you are on the later end of this timeline, as well as after major storms, especially hurricane and hail storms. If you see areas of discoloration or paint wrinkling on the ceiling, chances are that it’s caused by water, so check the water source…if it’s on the top floor, it’s likely to be your roof. If you need to replace your roof, be sure to hire a reputable and licensed roofing contractor. This is not an area you want to skimp on. If things aren’t done right (and they often aren’t; it’s challenging for a homeowner to get on the roof and check the work), it can be extremely costly to fix it later. The damage will cost you more than the amount you saved, and you’ll likely need to replace the whole roof again. Also, it’s usually worth it to spend a few hundred extra dollars to install a rubber roof underlay which will serve as a waterproof barrier below the shingles. This will help protect against water intrusion, especially if some of your shingles get damaged during a storm. If your home gets chronic flooding or is on a slope, you may want to consider installing a “French drain.” These drains usually go around the perimeter of your home and drain standing water from problem areas in your yard or basement. They basically prevent rain and water from entering your house by draining it away from your house. Please note that French drains can be somewhat costly. Sump pumps are a great tool to pump flood water out of your home. If you have a basement below grade, this is a must-have tool and can really help if the ground gets supersaturated (as it often does in the spring as snow melts and when we get a lot of rain). The only problem with a sump pump is that it can stop working if you lose power. So, get a battery-powered sump pump. Or if you already have a sump pump consider upgrading to a battery powered one or hooking it up to a generator. Sump pumps can help reduce the impact of flooding as well as help you during minor storms and reduce ongoing moisture/humidity in your basement. If you are in a high-risk flood zone, you may need to (or want to) elevate your home. This can get very expensive (as I’m sure you can imagine), but it may be required to make your house insurable. An alternative and less extreme option are to re-grade your landscape to divert water away from your home. Watch how the water accumulates and flows during rainstorms. And, from there you can determine how to divert the water down and away from the house (most likely using a professional landscaper). Yes, after major floods and power outages, the demand for generators rapidly increases (and so do the prices and wait lists. These are often more expensive than people think, but they really help – not only with making your home comfortable if you have a power outage but also they can ensure that your sump pump continues to operate. If you already have a sump pump, make sure the generator is hooked up to it. As you may have heard during Hurricane Harvey, one of the factors that made the flooding even worse was all the paved areas in Houston. This prevented the water from naturally seeping into the ground and just caused it to sit there and get higher and higher. 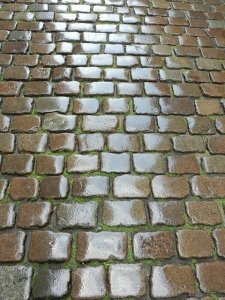 To counteract this effect, consider using permeable pavement materials such as paving stones, pavers or grass pave rather than traditional concrete or asphalt. These materials will allow water to seep into the ground to reduce the chance of flooding. Seal and waterproof your basement floors and walls so that it will resist hydrostatic water pressure (i.e. water permeating from the ground). There are companies that specialize in this, and it’s all that they do (since basement problems are so common on Long Island). Use water-resistant materials in your basement (e.g. waterproof flooring, water resilient walls/molding and insulation). 11. 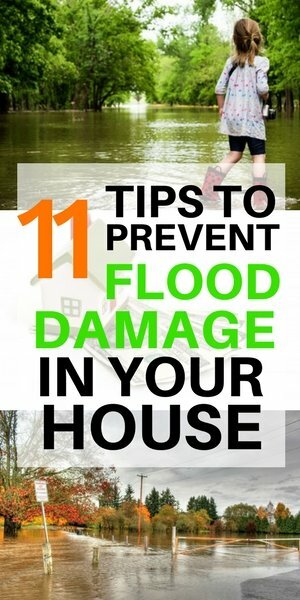 Other tips to reduce damage if your home tends to be susceptible to flooding. 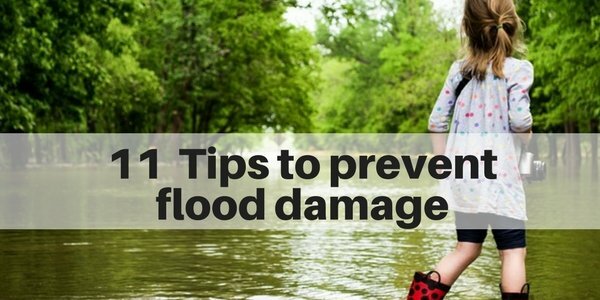 These tips won’t prevent floods, but they will reduce the impact to your home and bottom line. Raise utilities and appliances including water heater, furnace, washer/dryer (e.g. with cinder blocks) or protect with a flood wall; always consult a licensed plumber/electrician/HVAC expert for safety and to make sure you aren’t voiding any warranties or violating any building or safety codes. If you live in a snowy climate, be sure to put flags around sewer drains, so the snow plows won’t pile up extra snow over these areas. This will reduce the chance of these areas getting clogged and allow more water to drain away. Get flood insurance, if you live in a flood zone or tend to get flooding often (yes, this can be costly…but it’s less costly than getting a flood). Know your property’s flood zone risk and evaluate your flood risk with this reference guide from IBHS. Know y Note that the government periodically rezones based on new knowledge. 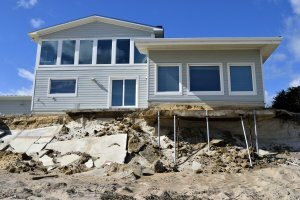 Does your Long Island House have flood damage? Did you have a major flood? Sometimes even the best precautions aren’t enough to protect us from Mother Nature’s destructive forces. If your house has been damaged by a major flood or hurricane, you may find that the repair costs are exorbitant. 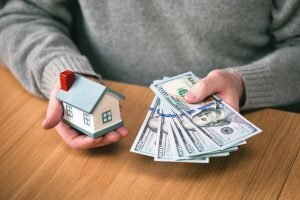 Rather than spending a ton of money (and time), you actually have another option to avoid paying for the repairs and going through the hassle. 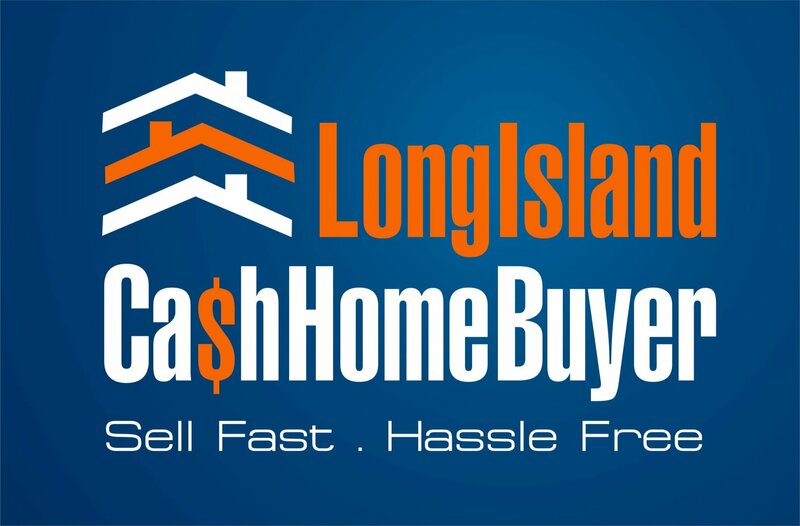 Long Island Cash House Buyer LLC makes it easy to sell your house if you’ve had major flood damage. When you sell your home to Long Island Cash House Buyer LLC, you don’t even have to make any repairs before you sell. 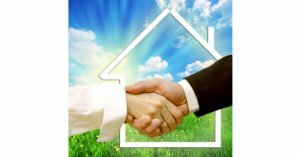 We will buy your house even if it has been damaged by floodwater, lightning, or hail. We are here to reduce your financial burden so that you don’t need to come out of pocket.